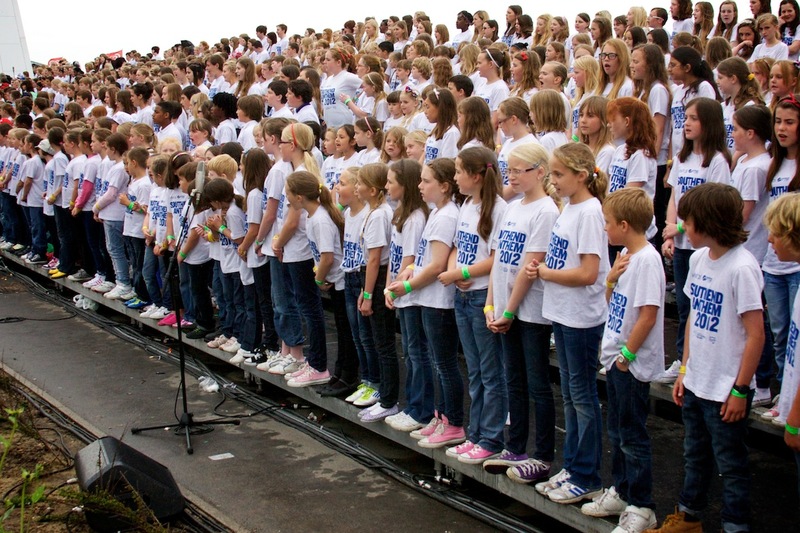 The project brought together a choir of 1500 school pupils and 500 adults from across Southend to sing a specially commissioned piece of choral music by Tolga Kashif. 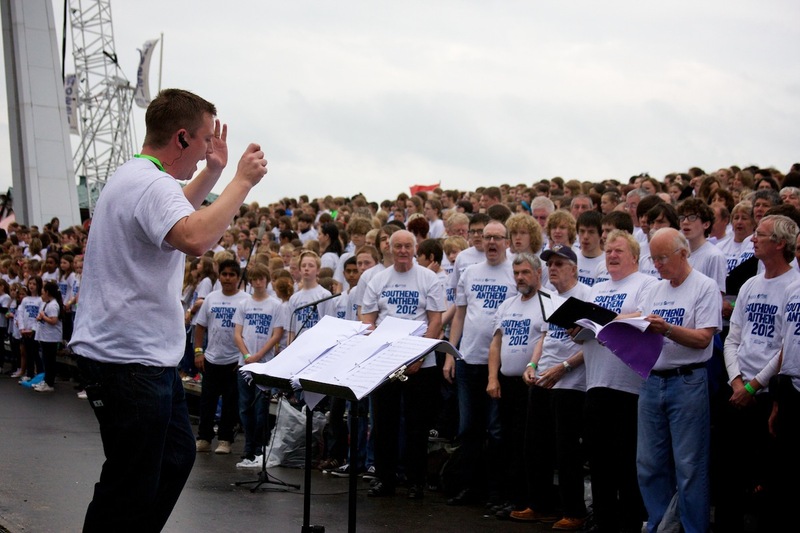 We staged the choir of 2000 voices on the sea front and they sang to a crowd of tens of thousands as the Olympic Torch made its lunch time stop. 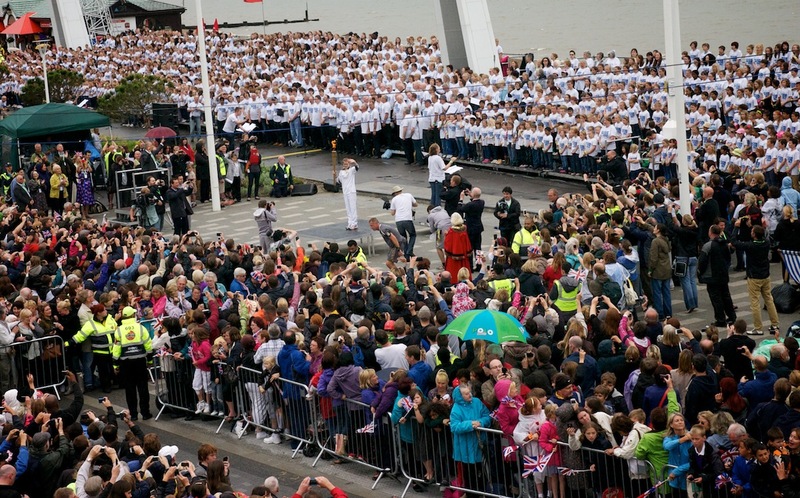 Southend joined together in collective voice to celebrate our town, its people, its cultural achievements and to send a message of good luck to the Olympic athletes. 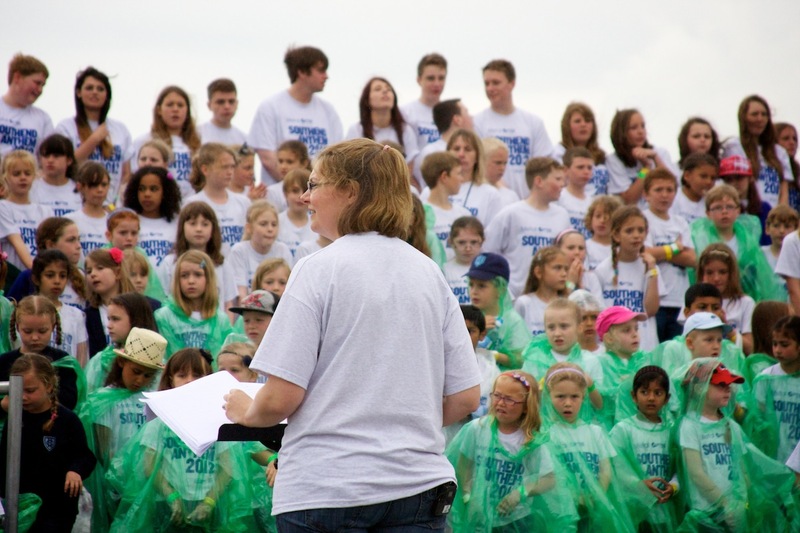 Metal worked in partnership with 34 schools and 7 community choirs and 3 music directors to rehearse and perform the work. 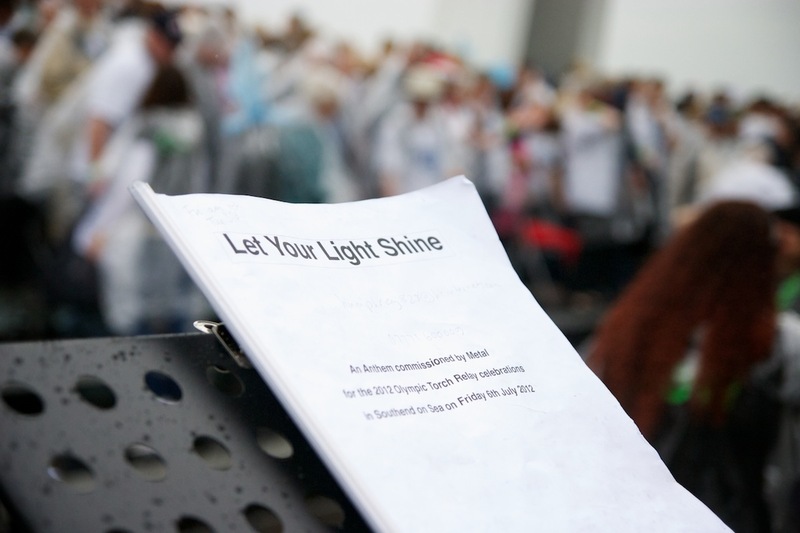 The piece of music, titled Anthem: Let Your Light Shine is a rousing, epic work that draws on many different music genres, rhythms and styles to represent a global message. 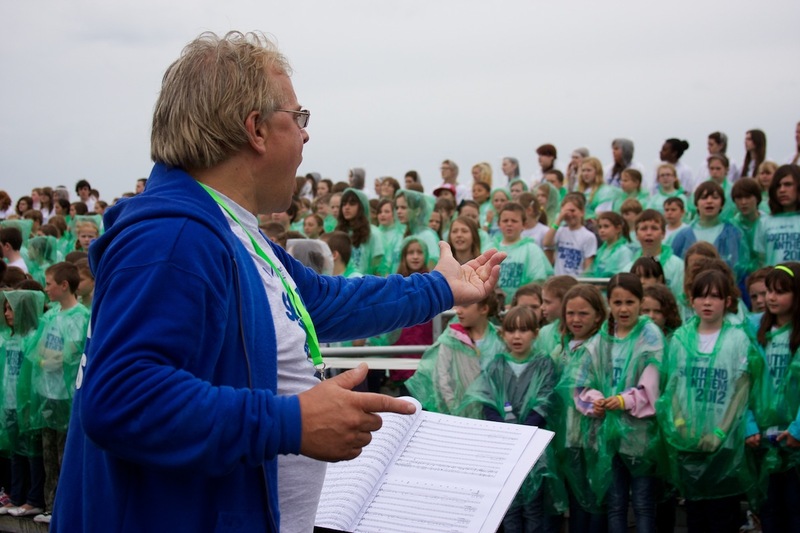 The work has been developed in response to the open-air performance site, the sea and the large number of singers taking part. 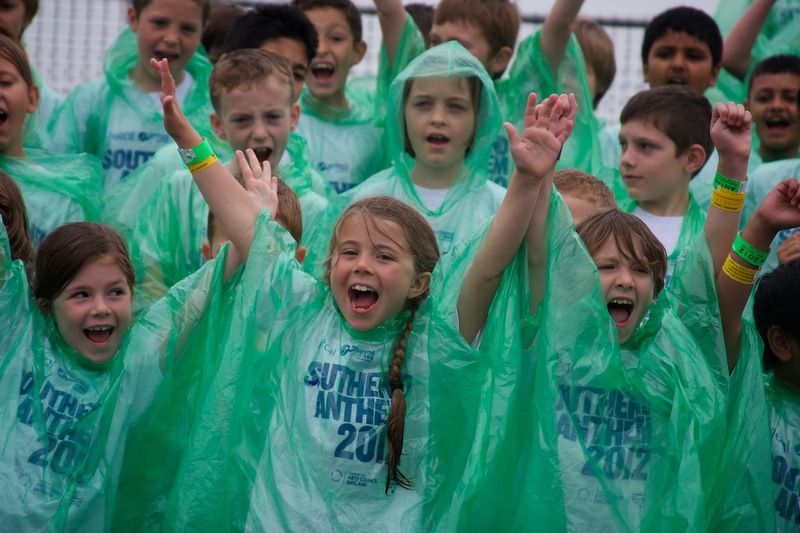 It was written to allow for participation from a wide range of ages and abilities from the age of 7 upwards – and has a memorable refrain that saw the audience joining in. 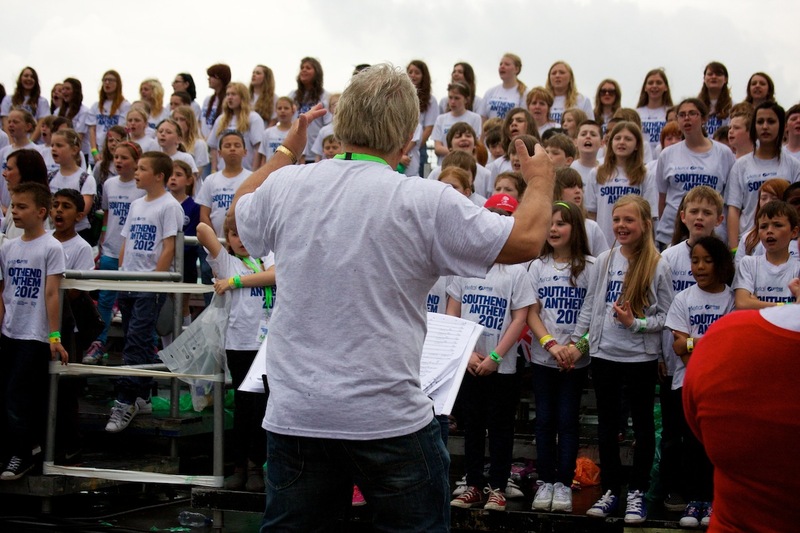 Music accompaniment for the work is provided by Black Dyke Mills Band among many other musicians. 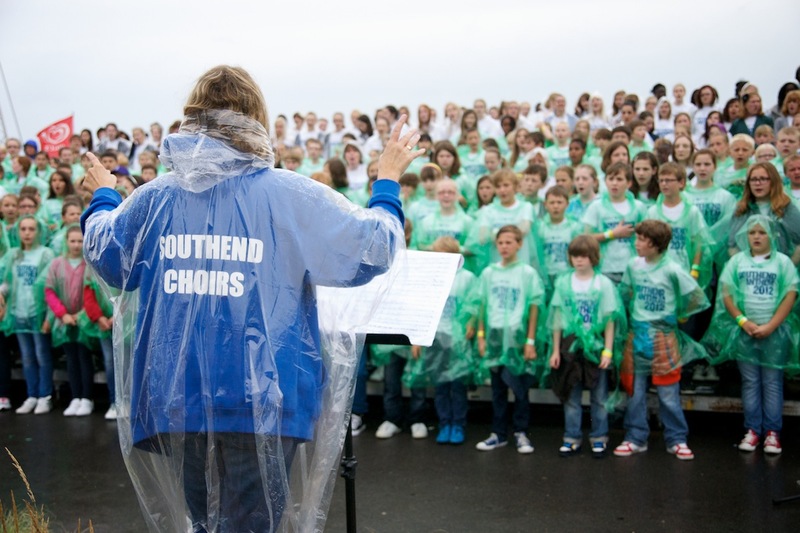 Music and singing has long been one of Southend’s cultural strengths. 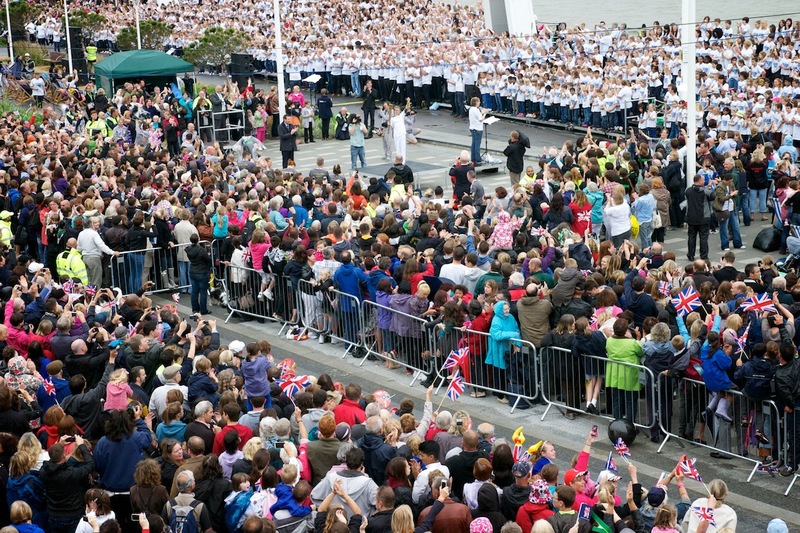 The town boasts some outstanding musical talent in a number of genres including Benjamin Grosvenor (the youngest pianist to play at the proms) Southend Girls and Boys Choirs, Lee Mead and The Horrors among many others. 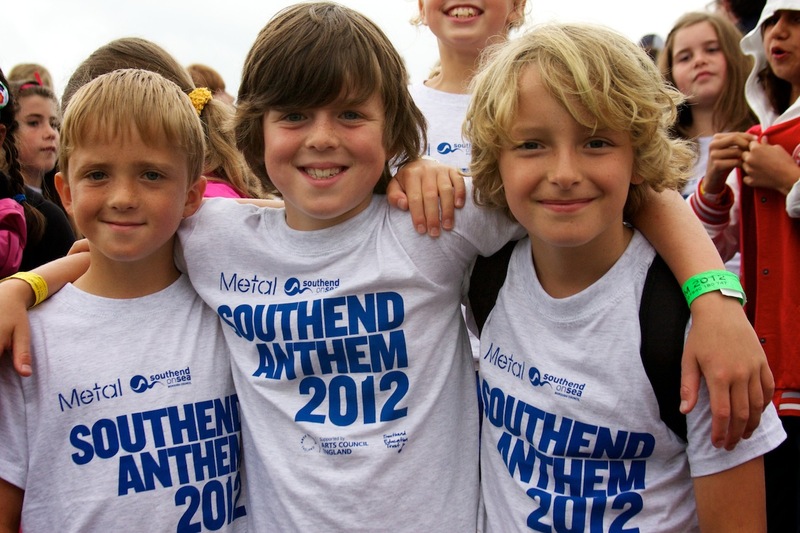 This ambitious idea, conceived and developed by Metal, formed part of a wider programme of activity programmed by Southend Borough Council to celebrate the torch visit. 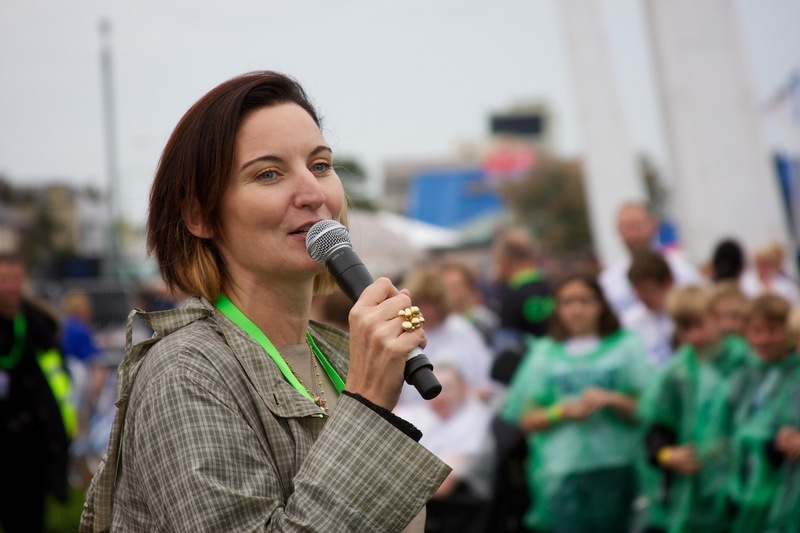 The film below documents the making and performance of Anthem.